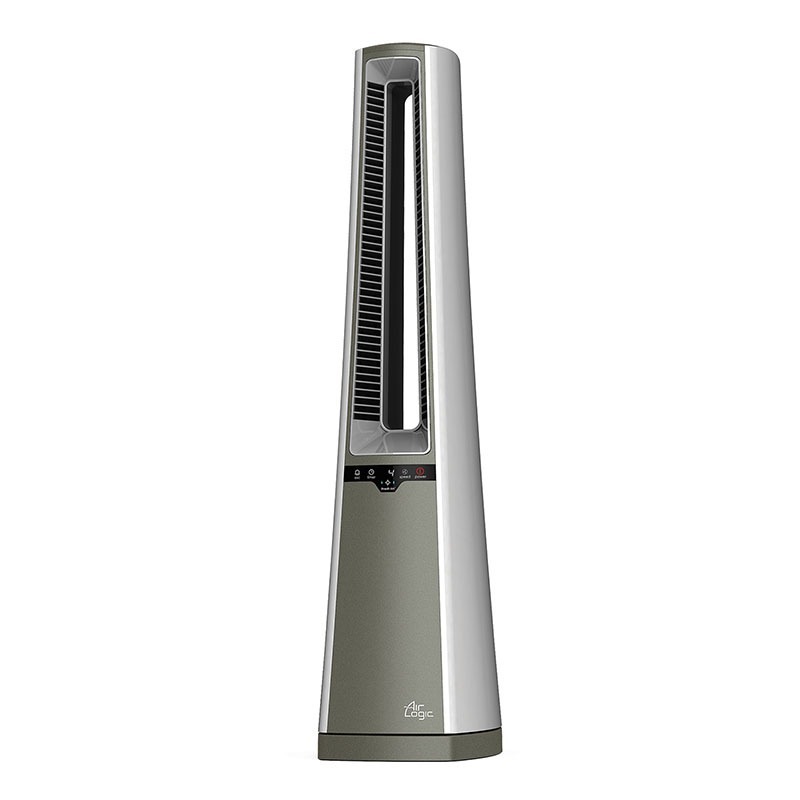 The Bladeless Tower Fan from Lasko is elegantly engineered with Exclusive Cool Channels™, which direct and focus air for whole room circulation. The patented blower technology outperforms traditional tower fans with 30% more air flow. Features EZtouch electronic controls, widespread oscillation, 4 speed settings, and an 8-hour timer fuction. Perfect for use in the bedroom, the optional nighttime setting automatically decreases fan speed and dims controls. The permanent air filter is easy to remove and wash for regular maintenance to maximize fan performance. Includes multi-function remote control with on-board storage.